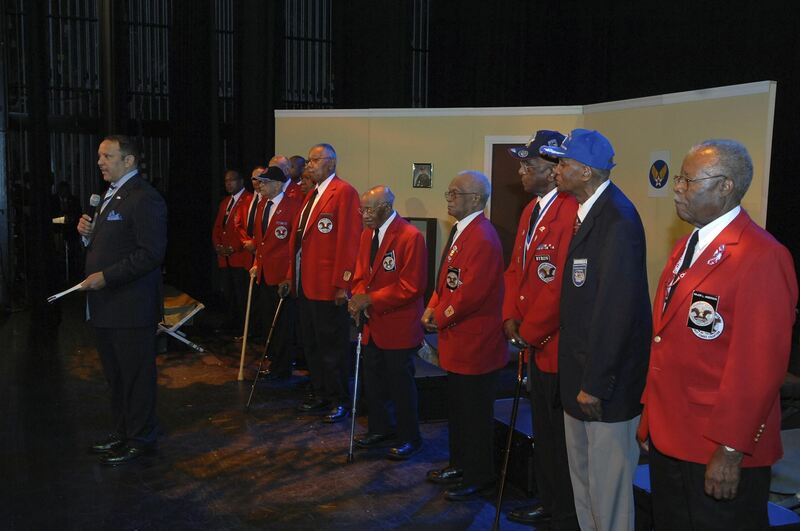 The ECCTAI Speakers Bureau accepts numerous requests to speak to schools and civic organizations in the Washington, DC metropolitan area, sharing the history of the African American aviators and support personnel that were trained at an isolated complex near the town of Tuskegee, AL, as well as the many success stories of the later careers of these American patriots. We are thankful you have shown interest in the Tuskegee Airman story. We are also pleased to hear of your request to have the East Coast Chapter Tuskegee Airman Incorporated’s (ECCTAI) participation in your event. We invite you to take this opportunity to provide you with some information about our chapter and our organizations’ goal while we try to find the right individual(s) for you event. Unfortunately, we cannot honor requests for specific Tuskegee Airman speakers, nor can we honor requests for lists of chapter member names/addresses, names of original Tuskegee Airmen, Tuskegee Airman autographs, memorabilia, or photos. Due to the number of inquiries, we are not able to accommodate all requests. We ask that you submit your request for a speaker at least 8 weeks in advance of your event. February is a very busy period, earlier submissions are required for that month.